Eating regularly throughout the day is an important trigger-avoidance strategy for every migraineur. 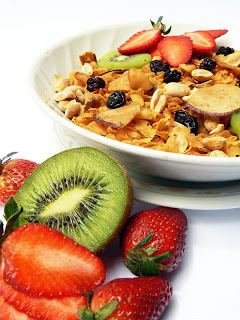 Unfortunately, it can be especially hard to find the time and energy to eat a good breakfast. 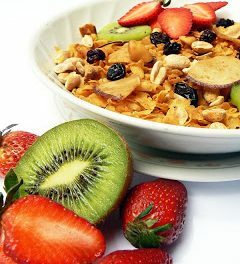 So when I came across this article, featuring simple ideas for healthy breakfasts, I knew I had to pass it along. The three key words here are protein, whole grains, and healthy fats. But why this particular trio? It’s because the body burns off these kinds of foods more slowly—think of a time-release cold medicine tablet versus a fast-acting dose of ibuprofen. Eating a breakfast that includes a healthy balance of protein, whole grains, and healthy fat can help stave off the mid-morning munchies. What’s more, eating whole grains can help lower the risk heart disease, according to the Whole Grains Council.